Hello! My name is Mai and I graduated with a PhD in biology in 2017. I now work in the Biotech industry. When not hard at work, I can be found training for a race, traveling the world, or talking about Disneyland. I am a huge dog lover, but also have a soft spot for cats, despite my allergies telling me otherwise. Eating delicious food (nom nom nom) is a passion of mine. Luckily enough, so is running. 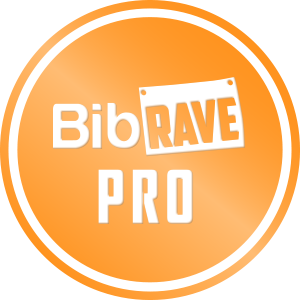 I am also a BibRave Pro and am able to feed my running habit by promoting races and trying out new running gear. Since starting the running life in March 2014, I’ve run 22 half marathons, countless shorter distances, and in 2016, I finished my first marathon in NYC. Since then, I’ve gone on to finish the Chicago marathon in 2017 as well as complete the Dopey Challenge in 2018, which is probably my craziest achievement to date. Running has changed my life. It pulled me out of a terrible situation and has taught me a lot about myself. Patience. Endurance. Stamina. Limits. I wouldn’t trade all the lessons I’ve learned from running for anything in the world and I encourage everyone, if able, to go for a run. 🙂 Who knows what it might teach you. Follow me on my blog as I write about my running adventures and my travels around the world.